I'd like to share an image that you might already know to nominate it to participate in the Contest "Machines in Motion". Montecarlo is a very special place for any motorsport fanatic and I am lucky enough to have been able to be there in the last 3 years. The past 2 I've been working as Media and as in every aspect in life, you learn from your mistakes so this past 2018 I think I learnt how to shoot better images in there. 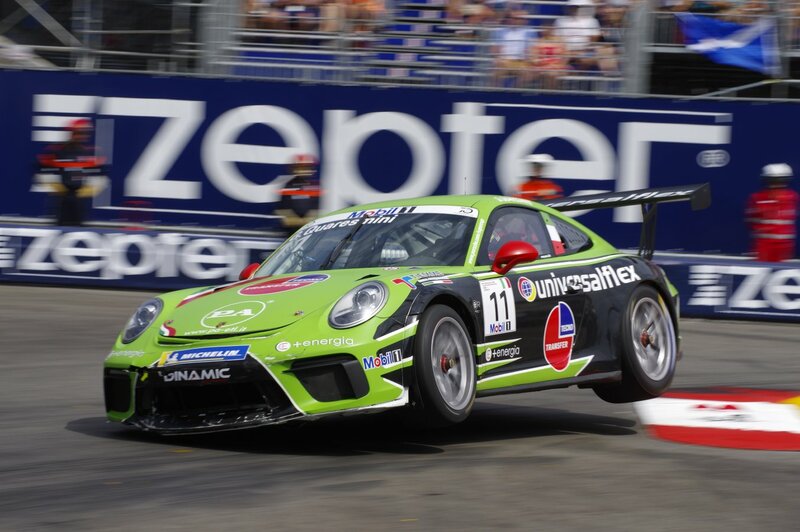 This one I am uploading to take part in the contest is from the Porsche Supercup series, at the entry of the Pool section, where those cars literally fly over the kerbs, and I like it because it shows motion and how does the car flies to carry speed and keep its position in the race. You can also see that the front splitter has suffered some damage, I don't know if contacting a rival or maybe just jumping the kerbs on track. I've taken it with my K3 + Sigma 100-300mm F4 at 1/125 of a second, and f13. All times are GMT -7. The time now is 07:59 AM. | See also: NikonForums.com, CanonForums.com part of our network of photo forums!